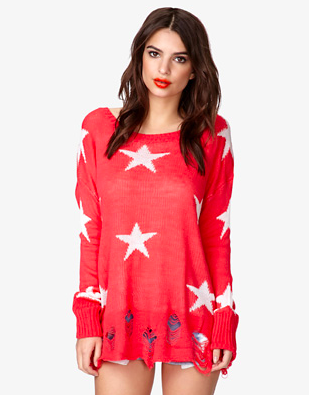 To me, this sweater almost directly models the Wildfox version (which you can check out here), but with a little different shredding patterns and a LOT different price tag. I have been lusting over the Wildfox version forever, and am so excited to finally have a chance to own my very own (similar) one. 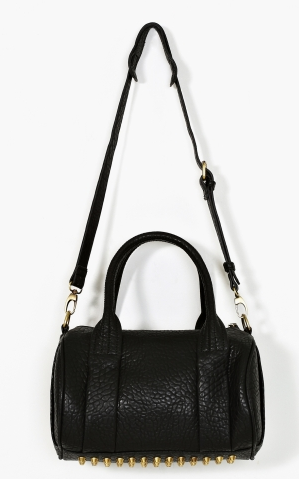 For seasons Alexander Wang’s immensely popular “Rocco” bag has been selling out everywhere. Unfortunately, its $900 price tag was not really my thing. Nasty Gal has heard my pleas apparently, and now offers the Eros bag in a very similar style. Check out the Alexander Wang here. The biggest steal in this post goes to the fashion forward (members only, although I am not sure why…) Tobi. For a mere five dollars, one can get the look of a Giles & Brother railroad spike cuff. 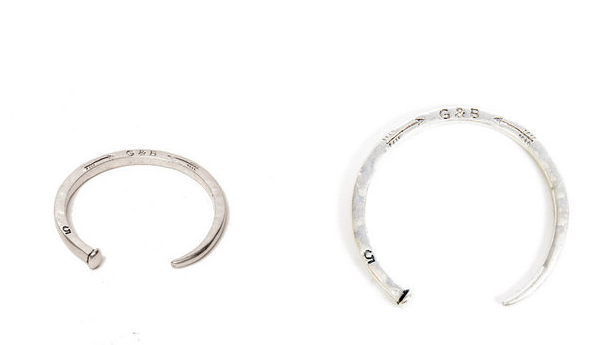 The cuff comes complete with a G&B monogram (a little strange, if you ask me, but whatever) Compare here. The original fashion pioneer, Gap does it again this season with a completely unique floral patterned short. The pattern (which I adore) is available on everything from a skimmer to a dress. My favorite, however, are these patterned shorts. Expect them in my closet ASAP. What’s on your Spring wishlist?